In a 2010 TV series, Muriwai was called ‘Danger Beach’. A site of challenging surf and rescues of swimmers and fishermen, the waves are notoriously powerful. Level 3 Geographers study this coastline for two assessments, and visited the area in August to collect information on the processes that make Muriwai a beach with a reputation. While some equipment was traditional, students also learned to improvise, with aluminium foil, oranges and petroleum jelly used in experiments. Little went according to plan! However, this is part of the learning process, and in their assessment students suggested alternative methods for conducting the research. Chaos and death struck Te Wairoa. 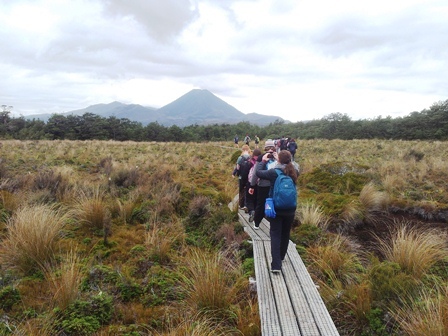 129 years later, the Level 1 Geographers visited what is now ‘The Buried Village’ and discovered how the eruption of Mt Tarawera buried buildings and people under metres of volcanic ash. 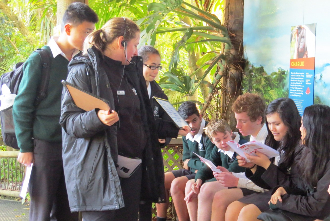 The site has been excavated and students were able to view the remains of buildings and buried artefacts while Rotorua Museum provided a presentation and movie experience to explain the 1886 eruption and the volcanic status of the area. 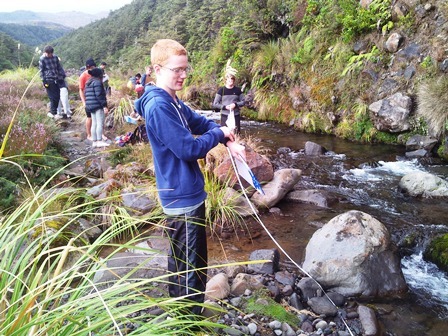 The geothermal activity has also provided benefits – students swam in a naturally heated pool, and luged down Mt Ngongotaha – a volcanic dome. Eruptions have covered the region in nutrient-rich ash, and students visited a dairy farm which benefits from the lush grass growing on these soils. The trip contributed to the learning required for three internal assessments and was also immense fun. 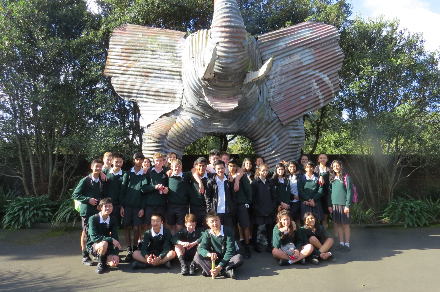 This week students from 10WN visited the Auckland Zoo as part of a unit of work on the Chocolate Industry in Social Studies. 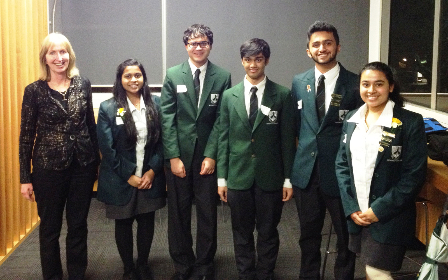 The students have been looking at human rights and environmental issues within the industry. 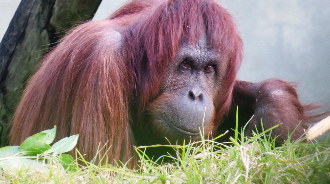 The Auckland Zoo is an active campaigner in the against the use of Palm Oil. In Indonesia and Malaysia the rainforest is being cleared to make way for palm oil plantations. Because the rainforest is the natural habitat for animals such as the Sumatran Tiger, Asian Rhino, Elephant and Orang-utan, deforestation has had a significant impact upon their numbers. It is believed that these species could be extinct in the wild by 2022. In most countries around the world palm oil has to be labelled as palm oil on product labels. However, in New Zealand and Australia palm oil can be listed as anything from sodium laurel sulphate or vegetable oil to emulisifer 422 or 476. Most consumers are very confused about how to avoid products with palm oil in them. At the zoo the students went to the education centre for a question and answer session on palm oil. They then went out into the zoo with an educator, where they took part in a series of activities focussed on the impact of palm oil. Palm oil is in many products on supermarket shelves so students were shown how we can identify it in our food, cosmetics, toiletries etc. The students also attended the orang-utan " encounter" in which the keeper gave us an insight into the life of an orang-utan. She also explained how they are looked after at the zoo and what impact palm oil plantations are having on their habitat. The keepers had put out food for the orang-utans that was a challenge to access. They explained that this was part of the enrichment programme the zoo has for the animals. Both of the Lynfield College teams acquitted themselves well at MUNA, with Nicholas Dobbie, Brecon Rose and Erica D'Souza leading well-received presentations for the glorious Land-Of-My-Fathers (Ireland). Team Croatia (Gauri Prabhakar, Sarah Tribble and Liam Bateman) combined impressive research, a finely-honed strategic use of United Nations' points of order and passionate oratory (Liam received two standing ovations and the comment from the Secretary General that he is clearly a politician in the making) to great effect. They were the deserving winners of the 'The Most Impressive Eastern European Nation' award. While we slept, unaware, in our lodge at National Park, a series of earthquakes under nearby Mt Ngauruhoe indicated ‘minor volcanic unrest’. By the time breakfast was served, GNS Science had raised the volcanic alert level. None of this was a surprise, as our study area is the most volcanically active in New Zealand. The dramatic landscape of the Tongariro National Park provides ideal field conditions for our Research internal assessment. By comparing two locations on Ruapehu, we study differences in slopes, velocity of streams and types of vegetation, all the result of volcanism. A visit to Whakapapa skifield showed a harsh, fractured rock environment. We rode two chairlifts to New Zealands highest café, examples of the tourism infrastructure that is unusual in what is both a National Park and United Nations World Heritage site. A study of these developments is the theme of another internal assessment. During the return trip to Auckland, we stopped for a hot swim at the thermal springs in Tokaanu. This was great medicine for our muscles made tired by our earlier hike to Silica Rapids.